I am supporting the campaign by local trades people who are calling for action to stop tool theft from vans, which is an increasing problem. Theft from commercial vehicles has a huge impact on tradespeople and small businesses in Reading. Not only is there a high cost in time and money to replace tools and to fix the damage caused, it stops people being able to work, leading to loss of earnings and huge financial impacts. A Home Office Research Study states that the average cost of theft from a commercial vehicle and contents compared to a domestic vehicle and contents- is double. Despite this there is no separate crime theft from a commercial vehicle, but just as metal theft was made a specific offence, creating a new offence of theft from a commercial vehicle could help to deter this crime. 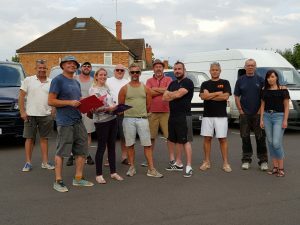 Local carpenter Micky Leng, Mark Russell and other trades people are campaigning for parliament to change the law to ensure that this carries a sentence which is proportionate to the cost which includes: replacements; repairing damage; business disruption; customer reimbursement and compensation.